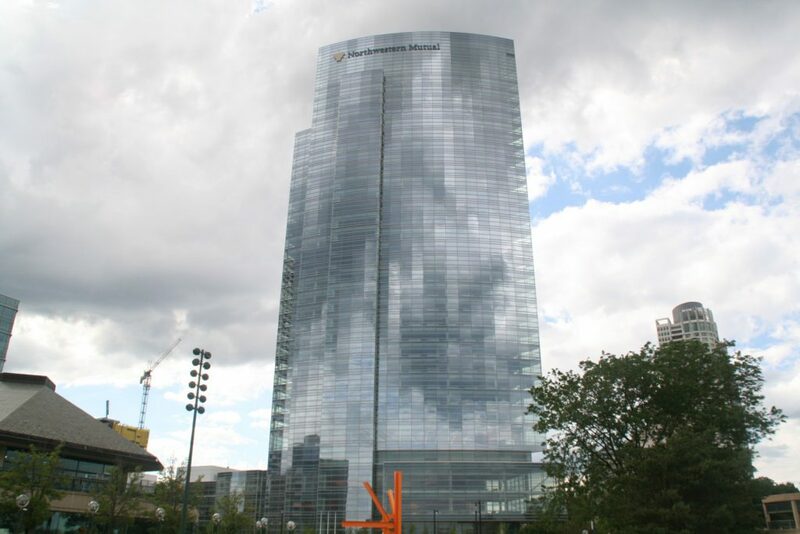 $40 Million from Northwestern Mutual for Data Sciences at MU and UWM will have big impact. The University of Wisconsin – Milwaukee’s strategy of building major partnerships with the big hitters in the M7 region hit pay dirt again last week with the announcement that UWM, Marquette University and Northwestern Mutual will be putting $40 million into a Northwestern Mutual Data Sciences Institute. UWM Chancellor Mark Mone, MU President Mike Lovell and NM CEO John Schlifske showed big-time leadership for this ambitious collaboration to make Milwaukee a hub of information technology. If any city needs this kind of boost, it’s Milwaukee, which has been lagging other major cities on the economic front for several decades. Its job growth and population loss are near the bottom in almost all rankings. Note that NM employs 900 UWM grads and 400 MU grads. Note that NM is already building Cream City Labs on its downtown campus, a 17,000-square foot innovation center that include offices and classrooms for the new institute. The increasingly ambitious M7 menu has included the recruitment of Foxconn, a potential creator of 13,000 jobs. It’s an expensive $4.5 billion bet, but will probably prove to be a home run. We’ll know in ten years. Its North American headquarters is already housed on Wisconsin Avenue in an older NM facility. It includes Mayor Barrett’s streetcar system downtown. It celebrates the fabulous new $450 million headquarters for NM. * Go after the headquarters of GE Healthcare as it spins out from GE. Most of their U.S. workers are here. Let’s put together a package that its new CEO can’t refuse. Foxconn would love to have GE Healthcare nearby in a close collaboration on new technologies. Sensible, pragmatic and well-wriiten, John! I have come to expect nothing less out of you: well done!